Leupold GX 3i A2 Golf RangefinderFor precise, USGA-conforming Line-of-Sight (LOS) ranging!The new Leupold GX-3iA2 Golf Rangefinder speeds to the head of the class. Its powered by Leupold’s DNA engine and features exclusive PinHunter 2 Laser Technology and Prism Lock Technology for instant measurement on any shot. And because conditions can change, they equipped it with smart features such as Fog Mode so that youre never without the range you need to attack the flag. Leupold’s new GX-3i2 keeps all the things that players loved about its predecessors – brilliant optics, sturdy construction, ease of use – and adds PinHunter 2 technology that makes it easier than ever to zero in on the flag. The layout of the GX-3i2 is identical to the GX-3 and GX-3i with one button on the top of the unit and the “Mode” button on the side. GX-3i2 come with PinHunter 2 technology. PinHunter 2 is designed to make it easier to lock on to a flag stick, even for those with shaky hands. This has long been one of the main concerns about laser rangefinders – golfers’ inability to hold the laser steady – but PinHunter 2 eliminates it. Even when you used your left hand or tried to exaggerate the shakiness, the GX-3i2 locked in on the flag immediately. The GX-3i2 is also ridiculously fast. You will see a yardage displayed on screen almost before you’re done pushing the button. Leupold uses an OLED display that shows the reticle and yardage in red as opposed to grey. This is much easier to see, particularly in early morning or twilight conditions. 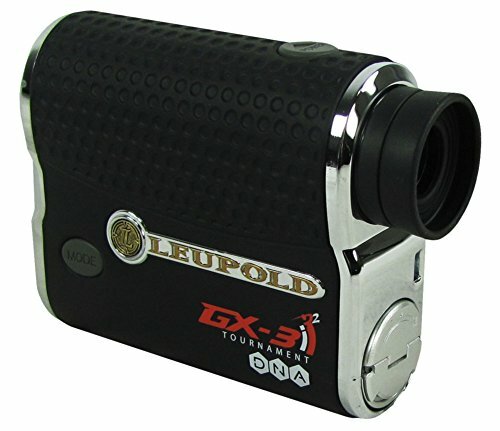 If you want a laser rangefinder, the discussion starts and stops with Leupold rangefinder. Quality, accuracy, durability, ease of use…their lasers simply have everything that you could want. With the addition on PinHunter 2, which makes it easier than ever to lock in on the flag, there’s no reason for any player to guess about their yardages. Leupold GX-3iA2 Golf RangefinderFor precise, USGA-conforming Line-of-Sight (LOS) ranging!The new Leupold GX-3iA2 Golf Rangefinder speeds to the head of the class. Its powered by Leupold's DNA engine and features exclusive PinHunter 2 Laser Technology and Prism Lock Technology for instant measurement on any shot.